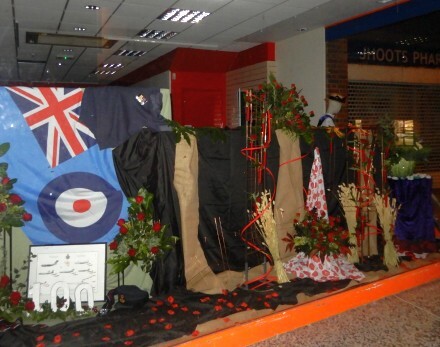 A lot of the shop windows in Abingdon town centre have poppies and WWI displays as we near the 100th anniversary of the end of WWI on November 11th 2018. 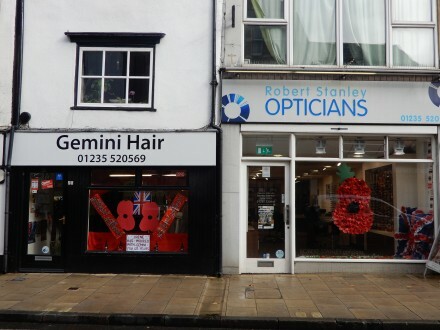 Gemini Hair and Robert Stanley Opticians are displaying large poppies. 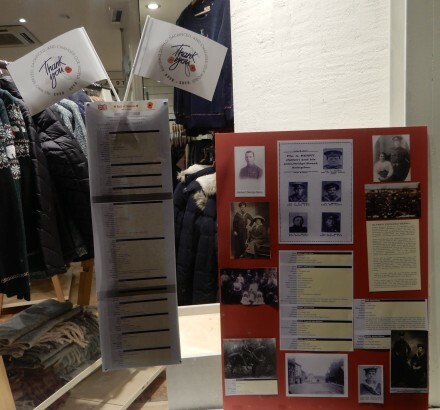 Fat Face has the Abingdon WWI Roll of Honour, showing men from Bridge Street who served together with pictures of them and their families. 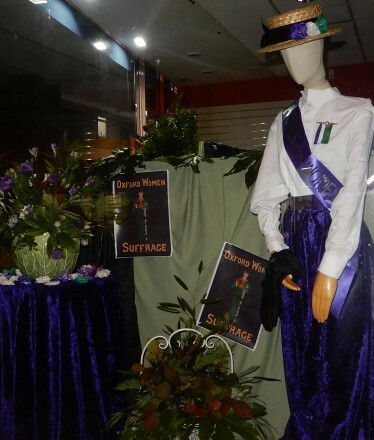 and on the other side is a reminder of the women’s suffrage movement, that led to women over the age of 30 who owned property getting the vote in 1918, together with all men over the age of 21. Veteran Gus is starving himself & sleeping rough in Newport, Shropshire in protest at the closure of a mental health care facility for veterans suffering from combat PTSD. The Government lied about putting more money into the care veterans. Many who have been affected are now homeless. This is the reality of how we treat ex servicemen. Funnily enough the press are not interested.Well it is not as important as Megahn Markles’s tiara or wedding dress. Again arrangements were made to clear the poor and homeless off the streers in Windsor so that the rich do not see them.